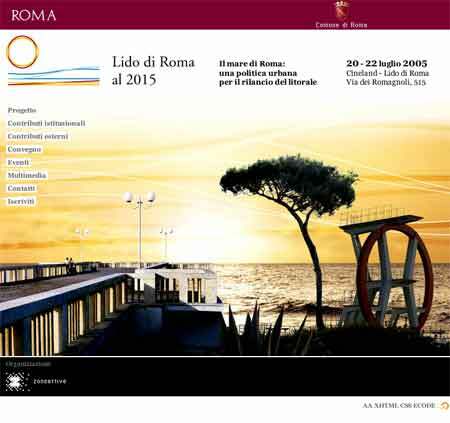 Realization of the website for the project Lido di Roma 2015, an urban policy for the revival of the Roman coast. The project and the convention relating to it are promoted by the Municipality of Rome and organized by the Active Zone. This site conforms to the second level of accessibility and content are managed by the publishing platform Ecode.